Whether or not you've been good or bad, Santa's sleigh is still coming to town in the run-up to Christmas. 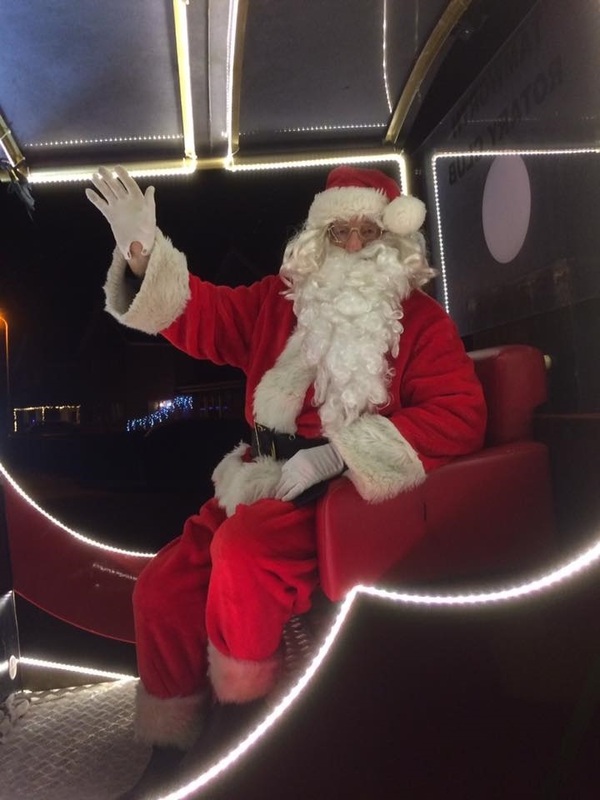 Tamworth's biggest and most popular festive fundraising tradition continues during December 2018 when the annual Santa Sleigh Appeal sees Father Christmas visiting thousands of children in a mammoth 20-day tour of Tamworth's streets. From December 1 to December 20, the Rotary Club of Tamworth and Tamworth Round Table will again be joining forces to bring Christmas cheer to all corners of the Staffordshire market town. The packed and meticulously planned itinerary will see the two organisations taking Santa and his sleigh around dozens of Tamworth streets while also visiting various local stores throughout December. There is an extra special new element to this year's appeal as it will be launched with a live Facebook broadcast on November 30 to announce the moment that Santa arrives in Tamworth for the start of the 2018 appeal. Look out on the Rotary Club of Tamworth Facebook page for more news and to view the broadcast. The annual appeal, which is now in its 21st year, has raised hundreds of thousands of pounds for charity. 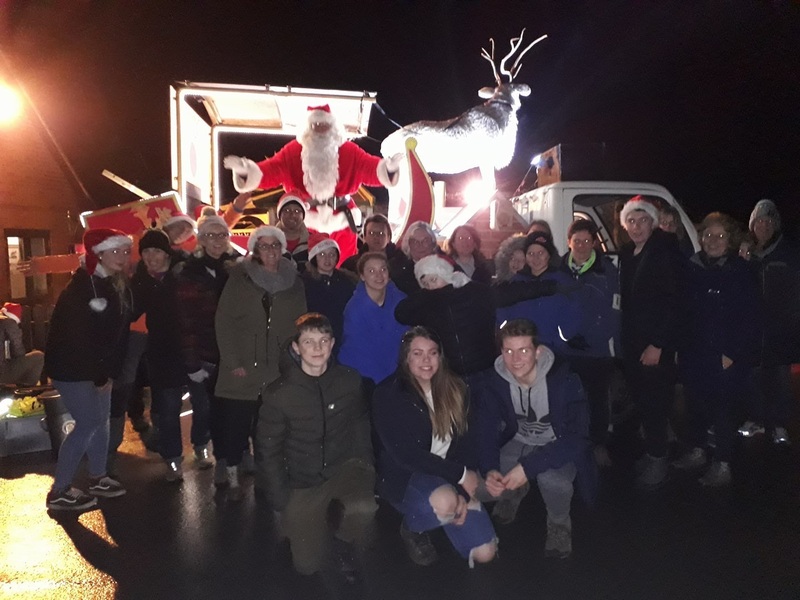 For its part, the Rotary Club of Tamworth raises around £30,000 a year from the Sleigh Appeal, which is shared between numerous local charities and good causes. The tour will be supported by an army of helpers who brave all weathers to accompany the sleigh each evening to collect donations from the town's residents, many of whom line the streets in anticipation of Santa's arrival. Helpers include Tamworth Explorer Scouts and representatives of various Tamworth charities and organisations which receive a share of the donations in return. People can find out when Santa is coming to their street at www.tamworthsanta.co.uk, where all the Rotary Club of Tamworth sleigh routes are advertised, and at www.tamworthsantatracker.co.uk for the Round Table routes. Latest news and updates – including any last minute changes or cancellations due to bad weather – will be advised via the Rotary Club of Tamworth and Tamworth Round Table Facebook pages. 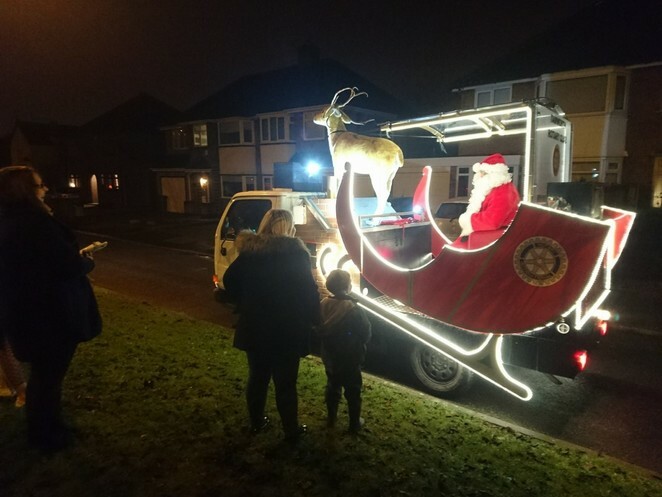 Rotarian Graham Barlow, who has helped organise the Sleigh Appeal for many years, said: "It's almost that time again as we prepare to spread festive cheer by bringing Santa to visit thousands of children across Tamworth. The annual Sleigh Appeal is now a firm Tamworth tradition which we know people really look forward to, as do we. It's such a magical time out on the sleigh with Santa, which raises thousands of pounds for vital good causes within our community, as well as bringing smiles to the faces of all those children and families. We look forward to seeing you all soon!" Rotary Club of Tamworth president Kyle Raffo added: "We have a lot going on to support the community of Tamworth over the next 12 months and we're always looking for new members to get involved. I'd encourage anyone who would like to find out more about the sleigh appeal, or Rotary activities in general, to visit our Facebook page or email us at info@tamworthrotary.co.uk."